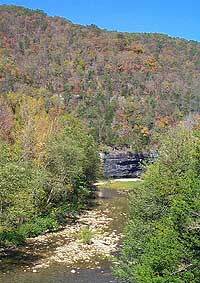 Bev Roberts and JD Mullins established Chiggerville Farm in 2000 in the rugged, rocky, forested mountains of Arkansas. Located near the Ponca Wilderness of the Buffalo National River, we are in some of the best terrain in the United States for raising, developing and conditioning competitive trail horses. We offer Arabian stud service of our 27 year old stallion, Serya Raven, who is 28.1% *Witez II. He represents the blood found in so many of the top Arabian and Half Arabian competitive trail horses in the North American Trail Ride Conference. A few such examples are Mary Anna Woods' deceased Half-Arabian gelding, Elmer Bandit, who holds the NATRC high mileage record and numerous National Championships, and our own deceased stallion, Count Niga+, who was an Arabian Horse Association International Champion CTR Horse, among other accomplishments. We have found that the type of Arabian fitting our passion is usually of Polish descent, particularly the famous WWII rescued stallion, *Witez II. As you page through our website, note the high concentration of *Witez II blood in our horses. We are preserving this blood as long as feasible through Serya Raven and Xanadu Bright Day's daughter, Ratez Mayday. 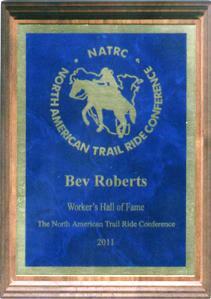 We have been a proud sponsor of the North American Trail Ride Conference since 2010. We also raise money for NATRC by searching the web using Goodsearch and shopping online using Amazon Smile and GoodShop. You can too! Just click on the buttons below. Be sure to select the North American Trail Ride Conference - NATRC (Sedalia)for Goodsearch/goodshop. For Amazon Smile, select North American Trail ride Conference Inc on your first visit. 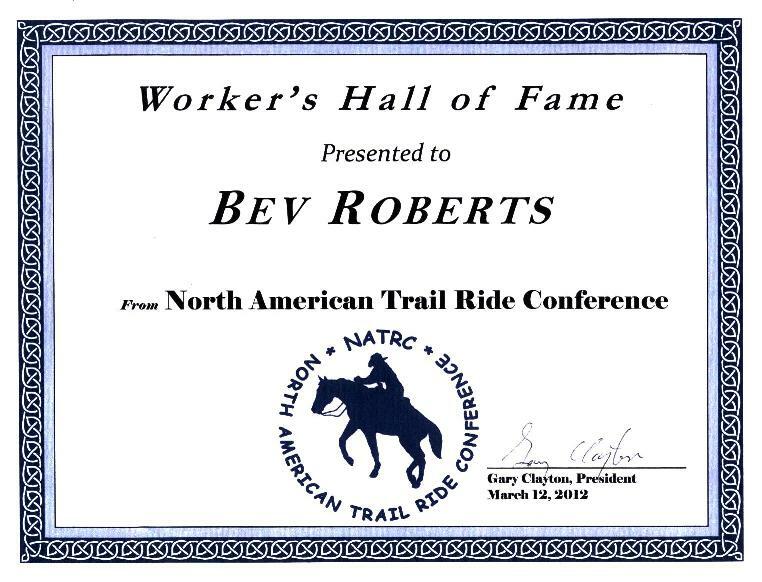 Bev has been competing in distance rides for more years than she can count. The horses she has ridden have earned an impressive record of 19 National and Regional Championships and Top Sixes. She has been endorsed through the Movement Level of, and practices, Universal Horsemanship as taught by Dennis Reis. Her passion is wonderfully minded, correct, athletic Arabians. In 2016, Bev and Wyntez Buddy were awarded the Arabian Horse Association's 2015 Year End High Point Open Event Incentive Program (OEIP) Award in Competitive Trail Riding. This award is given to the horse and rider earning the greatest number of points throughout the year among the competitive trail program participants in open competition. All of Buddy's points were earned in NATRC rides. This is the third time he has earned this award. 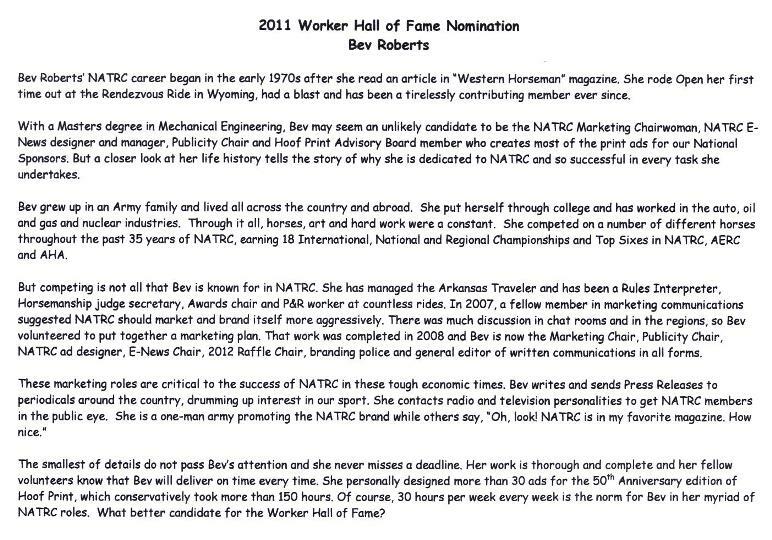 In 2012, Bev was inducted into the Worker's Hall of Fame! This is not an annual award but is one that is presented when an NATRC volunteer outshines all the others and the NATRC Board of Directors wishes to express their appreciation. Only a half dozen people are in the Worker's Hall of Fame. Read the nomination document and view certificate. For two years, one of Bev's NATRC volunteer responsibilities was to use Constant Contact online marketing to send E-News (E-Blasts) to NATRC members and other subscribers. Her prudent use of this tool earned NATRC the All Star Award in 2012 & 2013. 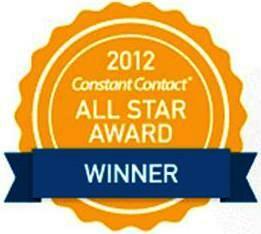 This award, based on a number of performance criteria, goes to the top 10% of the more than half million Constant Contact clients.